Cafe Restaurant Sol y Luna, La Paz, La Paz. Information, Photos and Reviews. Cafe-restaurant Sol y Luna is a Dutch owned and managed bar/restaurant. 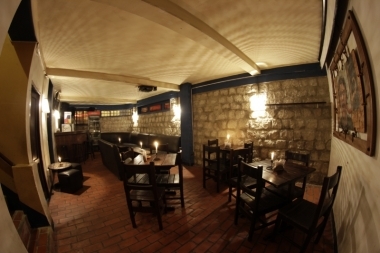 We have 4 seating areas, so we can cater for several occasions. 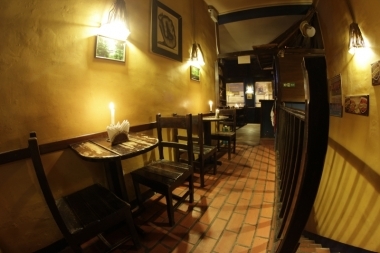 When you enter the restaurant it might look small, and around dinner time fully booked, but we do have a bigger non-smoking restaurant area at the back upstairs. Downstairs we have the pool area with the possibility to have some drinks or a meal on comfy couches. If you carry on from there you will find our big-screen area, down here are some extra toilets as well. During big and important sport matches we will turn our downstairs area in to a real sport cinema with a beamer projecting the game on a massive screen and we get the sound through the sound system!! Come in and try our famous homemade “Bitterballen” (Dutch meat croquettes) or a spek en/of kaaspannenkoek (bacon and/or cheese pancake) with maple syrup. Our “Hutspot” served with a meatball is very popular too. To finish it off we do have real “appel-kruimeltaart” (apple crumble)!! Of course we do have a lot of international dishes available as well!! On a cold day try our delicious Submarino (chocolate bar with hot milk poured over it) or a handmade cappuccino, on a warm day a Frappucino or Moccaccino might be a better idea!! For the microbrew enthusiasts we have beers from Saya beer, Ted’s cerveceria, Niebla, Troff, La Artesana, Cerveceria Vicos and Stier etc. Even beers from The Netherlands (Heineken) and Belgium (Stella Artois) are available. We have 5 different beers on tap!! We have about 35 cocktails listed on our menu, let us know if you want another drink as long as we have the spirits we will make it for you!! Don’t forget about our ladies night on Tuesday and Thursday with Live Latina music and a lot of drink specials. Nobody has reviewed Cafe Restaurant Sol y Luna yet, Be the first. You are submitting a booking enquiry. Cafe Restaurant Sol y Luna will then contact you by email with details of availability and prices.